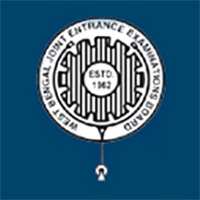 Applicants can choose the JELET 2019 Exam Centres which are listed by the West Bengal Joint Entrance Examination Board (WEBJEEB). Exam Centre: JELET 2019 Exam will be conducted in 13 cities in the state of West Bengal. Id Proof: Candidates must carry valid id proof along with the Admit Card to the Exam Centre without fail. Candidates without the Admit Card will not be allowed to write JELET 2019 Exam. Choice of Centre: The candidates may choose up to 2 Exam Centre as there choice of location for JELET 2019 Exam. Present: Candidates must make sure that they should be present 1 hour before the prescribed timing for the verification process, latecomers are not allowed to appear for the exam at any circumstance. Note: No request for change of allocated centre will be entertained under normal circumstance. Any examination zone will be dropped if the adequate number of candidates is not available. All candidates are advised to come one hour before the examination for document verification and training session. Using mobile phones or any electronic gadgets inside the JELET 2019 Exam Centre or exam hall will not be entertained. It is advised to all applicants not to carry electronic gadgets inside the exam hall. Students must bring any Government ID proof along with JELET 2019 Admit Card while appearing for the examination.